Are they uniting the armies from every country in the world, to turn on the citizens of those countries who object to a one world government? In the following video is a perfect example of how these military men and women are being united as the worlds largest army. Who are they going to go after? Terrorist? Who are the terrorist of the 21st century? Anyone who opposes the New World Order will be classified as a terrorist. Does this concern you? It should, basically this military force that is made up of soldiers from all over the world, uniting, training side by side with one another, will be the military force that institutes the rule of law for the New World Order. Is Jade Helm part of it? Of course it is, they are training the military to identify the sovern citizens, and treat them as enemy combatants. 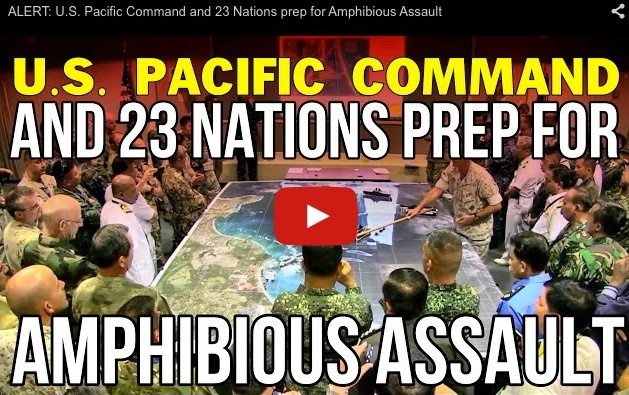 Watch this video and ask yourself, who are these people training to dominate over? Could it be for protecting one country from another country, or rather, protecting the governments from the citizens of those countries. What is more likely, is that citizens who grew up in their home land countries, will try to salvage their sovereignty, the elite know this. They are preparing for you! !